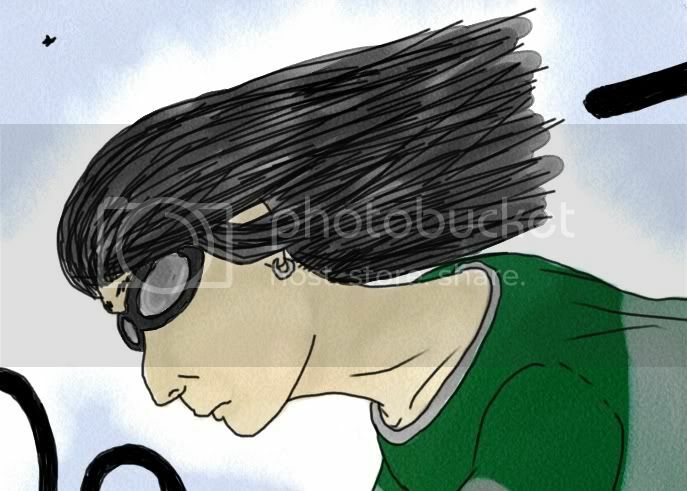 A youthful Snape playing Quidditch. Did it ever occur to anyone else who read the books that he might have played the game? In the first book he referees a match, and so he must have decent knowledge of it. I see no reason for him to not have played Quidditch, and it's yet another reason for him to hate James. Anyway, sketched in 5 mins just to keep my hands occupied. That's why it's crap. I don't know why he's wearing an earring. Maybe he thought it made him look cool.